Many investors are looking for ways to manage their family-offices, and in this 10th episode of the Creating Wealth podcast, Jason Hartman covered a topic that may very well be of use to people who would like to free up some time by hiring a virtual assistant. He discussed several websites that can be used to find the assistant that fits your work as well as the benefits to hiring a virtual assistant, and the Hartman Property Management Metric is here to help you determine how many hours to budget. Hartman then welcomes Peter Shankman to the show to talk about how having ADHD has been a benefit for him rather than a curse. Shankman aimed to teach listeners about how a person with ADHD lives, as well as different rules he follows in order to get the most out of his life and use his disorder to his advantage. Jason Hartman opens this 10th episode announcing that it’s a general interest, off-topic day where he will be discussing ADHD, one of the many over-diagnosed disorders. He explains that according to his guest, disorders don’t always have to be a malady, as his ADHD and the way it affects his brain has been a benefit to him. He will discuss using weaknesses as an advantage, and Hartman adds that we’ve all got strengths and weaknesses. He mentions that one of his weaknesses was being poor as a child, which wasn’t any fun. This is why he seeks to help people avoid living poor lives. Many people say that money will not buy happiness, but neither will poverty. Another weakness he was faced with was dyslexia, which he isn’t sure he’s entirely cured of. Hartman states that he likes to read, but still struggles with it. His eyes wander, and his mind gets cluttered with other thoughts. Before speaking with today’s guest, Hartman brings up the topic of the family office and is not referring to the stereotypical family offices that the ultra-wealthy use. He specifies that he is discussing the mini-family office and how we can better manage our investment portfolios. We have all heard of virtual assistants, or VA’s. There are many websites that cater to the gig community, as we are all living in a time where many people have gigs rather than jobs and careers. Platforms where professionals can hire freelance workers to do small jobs have become quite common. Some of these sites include www.taskrabbit.com, www.freelancer.com, www.guru.com, as well as Upwork, eLance, and Odesk. This is just one of the benefits to hiring a virtual assistant. There’s also an association for freelance workers by the name of IVAA, which has a directory for virtual assistants. Hartman mentions that a friend of his owns a virtual assistant company that is focused specifically on real estate. They work with people who are really in the trenches and do many things that Hartman’s clients are not expected to do. This website is designed for people that are extreme do-it-yourselfers, which is not what Hartman’s company is about. He works with empowered investors that do some of their work themselves, but they don’t go out door-to-door trying to persuade people to foreclose on their homes. He states that investors he works with want to manage their portfolios, which are not the $100 million offices. This is more directed toward the middle-class offices, and there are virtual assistants that focus on this sort of real estate. For example, there is a website called www.virtualrealestateservices.com, which can help investors manage their portfolios, as well as www.hiresmartvas.com. Investors can hire these virtual assistants to help them manage their properties, whether they have ten properties or one hundred, which is another of many benefits of hiring a virtual assistant. The odd thing is, he says, is that you might need what Gary Pinkerton mentioned at the last Venture Alliance meeting: the kind of person that you can manage. Investors don’t usually manage their properties firsthand, instead, they manage their managers. Hartman further explains by saying that investors self-manage remotely, as well as performing both record-keeping and bookkeeping tasks that fall under general administration. Though it isn’t a bad idea to DIY at first so that we understand the process, we might not want to perform these tasks ourselves. If you’d like to free up some time as an investor, the benefits of hiring a virtual assistant might be worth looking at in this field. He adds that the Hartman Metric is determined as one hour of work per property per month. It might be a little more or a little less than that, depending on the situation. If you’ve got a virtual assistant to handle these tasks for you, it’s important to realize that it isn’t wise to delegate the task and then abandon the assistant. Instead, delegate the task and then watch the assistant. On some of the virtual assistant websites, some of the freelancers are reviewed and rated, so you’ve got a lot of advantages to determine who to choose. Some are qualified to be almost a blend of property managers, bookkeepers, and administrative assistants. If an investor has a larger portfolio, they might want to break up the tasks and hire two virtual assistants. If they’re highly-qualified, you might be paying each $25 per hour, which is $50 per hour for the pair. Hartman addresses the story that many investors have heard, which is largely a myth, how some landlords receive calls at 3:00 in the morning. He states that he has never had this happen personally, even though he has had hundreds of tenants, many of which have been in self-managed properties. He has also never heard of this happening to anyone he knows, and the same can be said with the “trip and fall” lawsuits. If this is a concern, though, there are companies that have assistants to field the incoming calls 24 hours a day, seven days a week at www.apartmentlines.com. This company is an outsource solution for apartment buildings and landlords that want their inbound calls managed. He recalls a speech he once gave for a leasing association where he talked about some of the services that track calls or leads. He adds that he used to use one of these companies when he advertised on the radio. There are a lot of companies available to help. Hartman mentions that his new two-day conference at a tropical location is still being developed, and listeners should stay tuned for more announcements in the near future. There is also a contest set to take place where a listener has the chance to win a guitar autographed by Colbie Caillat, his guest during the 1000th episode of the Creating Wealth podcast. More information about the contest is soon to come. How is ADHD a Benefit? Hartman welcomes to the podcast Peter Shankman, founder of HARO as well as founder and CEO of Geek Factory. He’s also the author of two books, Zombie Loyalists and Faster Than Normal: Turbocharge Your Focus, Productivity, and Success with the Secrets of the ADHD Brain. He is joining the podcast out of New York City. Shankman explains that HARO was his third company. The first was a PR company, and the second was one that allowed people to choose their seatmates before they got onto a plane for a flight. He mentions that having ADHD has been a gift for him, as he talks about in his podcast that focuses on the topic. He has had several great guests, a lot of whom have ADHD and see it as an advantage as well. He adds that he works hard to ensure that his life follows the rules that he’s set for himself. 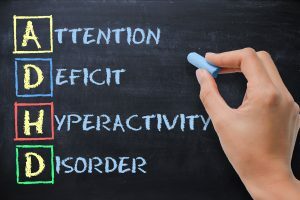 When asked if he’s been diagnosed with ADHD, Shankman states that he has been diagnosed on three separate occasions and adds that there is a big misconception about ADHD as a disorder that results in a lack of focus. He explains that, in reality, it’s the opposite. He has the ability to be hyper-focused. He states that both of his books were written entirely on airplanes, recalling that he had a 14-hour trip to Asia where he wrote chapters 1-5 of Zombie Loyalists and returned to the same plane two hours later and finished the book. He mentions that, for him, it’s about understanding his own focus and being aware of how his brain works. For example, when he has to pay attention to something that does not interest him, this is where people get the idea that there is a lack of focus due to increased movement. However, Shankman states that people with ADHD are looking for the chemical balance needed to direct their attention. Shankman explains that the normal brain has a certain amount of dopamine, serotonin, and adrenaline to keep focus. People with ADHD don’t have the inhibitors to create the balance and tend to have 20% less than normal. They have to find ways to make up for the deficiency. For some people, that method is medication, but he also adds that there are people medicating five-year-olds. He states that he had to develop a system to generate chemicals on demand. His day starts at 3:45am every single day and either goes to the gym or runs to get a workout. He adds that he skydives as well, and the conferences he speaks at are a huge boost for him. He allows himself to live in a positive environment, and at home, he has his wardrobe narrowed down to two uniforms. One is shirts and jeans, and the other is button-down shirts and jeans. All of his other clothes are kept in a completely different closet in another room so that he doesn’t get distracted by looking at them. Shankman knows what derails him and makes a significant effort to avoid those things. Shankman explains that there are four undeniable rules to follow when living with ADHD. The first is exercise. The second is the limitation of choice, much like what he does with his clothes. The third rule is healthy eating. He often jokes that if a food was not around during his grandmother’s youth in 1910, he is probably not going to eat it. There is a huge problem with so much garbage food and sugar in the world. The fourth rule is adequate sleep. Shankman notes that he goes to bed around 8:30 every night and does not feel that this causes him to miss out on anything. While he notes that he isn’t a doctor, he knows what works for him and uses his tools to work out his own life. He knows his own brain and that it works in a certain way. That being said, he lives in a way that works for him. Some people think his methods are crazy, but at the end of the day, his rules help him in every aspect of his life. Shankman states that it’s wise to be aware of what’s important and know that it comes at the expense of something unimportant. For him, it’s important to follow his schedule, and this comes at the expense of staying up late. He adds that time and priority are not the same things, and when someone claims they don’t have time for something, it’s usually because the thing is not a priority. When asked if he has any tips on the small business industry, Shankman advises being a little better than what people expect. He notes that people are not good at doing things that require them to give. He recalls having people talk about the way that they pitched an idea, and the person on the receiving end didn’t bite. Shankman explains that this was because the person was pitching details about why they were so awesome, rather than pitching why the receiver’s readers might need a certain article. He mentions publicity stunts and advises that people use stunts that will drive revenue. Today, many people are all about making things go viral, and it’s better to focus on creating good content instead. If it’s good, it will go viral by default. He adds that the bar is quite low from the customer’s standpoint. If you fly on a plane and you arrive on time and in one piece, you’re happy. Shankman explains that if you listen to your audience, they will tell you what they want. As long as you are taking the time to listen, you will hear it. The problem is, many people don’t ask their audience for input, and they go after the next shiny thing available. Hartman mentions that Steve Jobs was quoted as saying that Apple didn’t conduct focus groups and that sometimes the customers don’t know what they want. He refers to the cordless, waterproof phone. Nobody asked for it, but they wanted it. Ford, creator of Ford Motors, would say that if he listened to people, they would have asked for a faster horse. Shankman states that he doesn’t really agree with that quote because it isn’t necessary if you aren’t trying to reinvent the world. While it’s important to think differently for that, he states that in the business he and Hartman are in, they are not Elon Musk. They are doing things that are benefitting their clients and their businesses. He adds that if you don’t want to listen to your audience, you’d better be bringing something amazing to the world. For more information on Peter Shankman, visit his website at www.shankminds.com or check out his books, Zombie Loyalists and Faster Than Normal: Turbocharge Your Focus, Productivity, and Success with the Secrets of the ADHD Brain.